For those who are looking for the traditional Christmas, from Christmas to the end of the first week of January (December 22 to January 7) you can visit the Nativity scene dioramas' exhibition. It is placed in the Palau del Rei Moro, a Gothic building which is part of the architectural heritage of Catalonia, and it is organized by the Grup Pessebrista de Sitges. Another classic event is the representation of Els Pastorets de Sitges, a theatrical and musical show. It is a tradition for Christmas in Catalonia, in which the birth of Jesus is relived from the point of view of the shepherds, with the fight between good and evil involved. The performances take place in the Casino Prado Suburense on December 23 at 6:30pm and December 28 at 9:30pm. For those who like sports, there is the race of Sant Silvestre Sitgetana. It is a 5km route through the beaches and streets of Sitges, which begins and ends at the Playa de la Fragata. It will be held on December 31 and it has two starting times: the first one, for the walkers, at 10am, and the second one, for the runners, at 10:30am. One of the most popular activities is the Feria de Santa Llúcia, where you can find all kinds of Christmas decorations, ornaments and craft figures. However, another Sitges Christmas market that stands out for its originality this years is the Sitges Christmas Festival. What is the Sitges Christmas Festival? Since 2015 this Christmas fair in Sitges is being the favourite of those who love crafts. The Sitges Christmas Festival is considered the first Christmas fair dedicated to patchwork in the country, with more than fifty exhibitors and numerous professionals. From November 30 to December 2, from 11 am to 8 pm, from 11 am to 8 pm, you can buy all sorts of DIY ("do it yourself") products and attend to lessons of a few consolidated participants. The chosen place for this event is a tent on the beach of La Fragata, specifically installed for the fair by the Town Council of Sitges in collaboration with the Asociación Española de Patchwork (Spanish Association of Patchwork). Access is free. If you come to spend Christmas in Sitges with the whole family, there are also various activities designed for little kids. One is the parque de Navidad de Sitges (Christmas Park), which has many sporting and leisure activities for children: games, workshops, elastic beds, inflatables and crafts, among others. The Associació Esportiva d'Amics del Bàsquet and the sports services of the Town Council prepare the facilities at the Pavelló Pins to accommodate more than 2,000 children as in previous editions. The details for the 2018-2019 edition are pending confirmation. Another special activities for children are the Titelles de Nadal (Christmas puppets), a show dedicated to the little ones every January 5th in Sitges. On the first week of january we will have the visit of the royal postman, who goes from Plaça Catalunya to the town hall square collecting letters of the children who have written to the Three Wise Men to order their Christmas gifts. Finally, on January 5th it is the turn of the Three Kings parade in Sitges, in which Melchior, Gaspar and Balthazar run the streets with their pageboys to greet all those who come to welcome them. The parade starts from Centre Cultural Miramar and it goes to the Baluard to reach the town hall square. 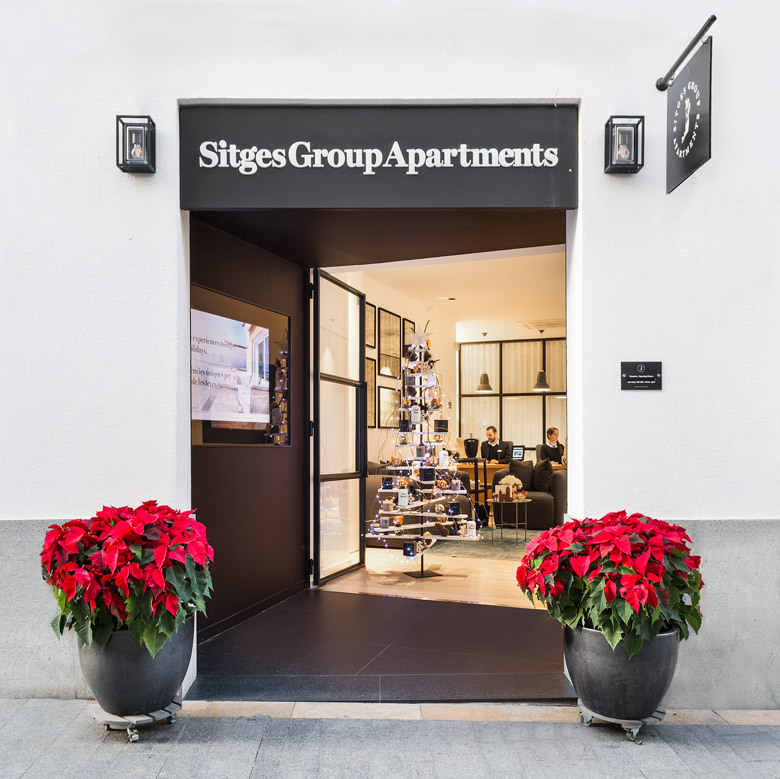 Remember that if you are looking for accommodation in Sitges for your winter holidays with the whole family, you must book in advance because, although it is low season, the city becomes a perfect Christmas postcard to admire from the Sitges apartments on the beach.